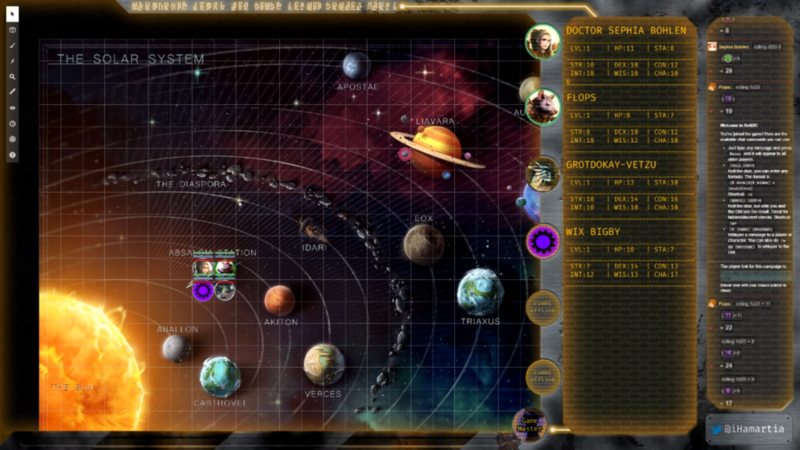 Create a graphical overlay for the client’s Starfinder RPG show on twitch, and a set of animated intermission screens. The project included looping animations for the start, breaks, and end of the stream (an excerpt from the break screen is shown below). The animations were rendered entirely within aftereffects with no stock resources. Character portraits were commissioned by the client and belong to the individual artist(s) responsible for them. Star system map created by Paizo.